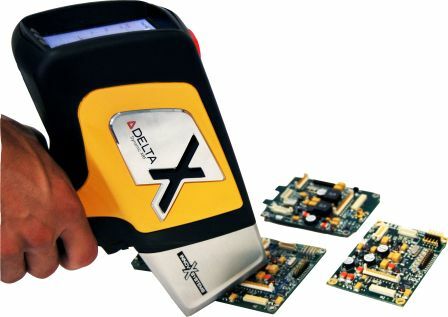 DELTA Consumer Safety & RoHS Handheld XRF Analyzers allow for testing large quantities of consumer & electronic products anywhere, anytime. 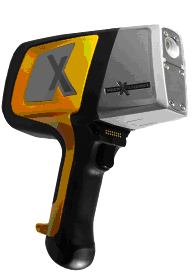 Get simple, fast, nondestructive regulatory compliance screening for Pb, Cd, Hg, Br & more. Use for ASTM Method F2617-08, HR4040, CPSC, CPSIA & more. LODs shown were determined using optimized measurement settings and interference-free standards. Actual "real-world" samples may contain interfering elements causing actual working LODs to be higher than those shown above. 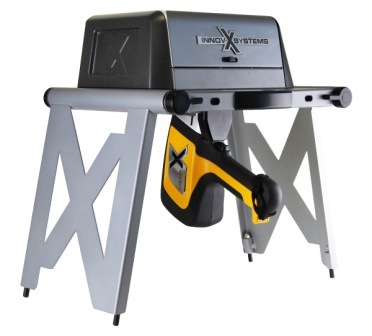 The DELTA is specially designed to test consumer products and RoHS materials based on government-regulated levels of chromium (Cr), bromine (Br), cadmium (Cd), mercury (Hg), lead (Pb) and more. Results are automatically saved and documented for compliance. 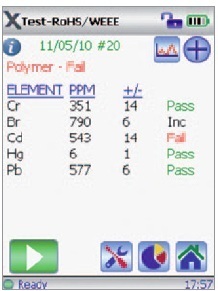 Elements and action levels can be easily modified in line with current legislation. The DELTA can be applied to each link in the supply chain, e.g. manufacturers, suppliers, distributors and end users. 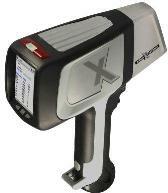 In focus and on target for every shot, DELTA RoHS and consumer goods analyzers come with an integrated camera. This high resolution CMOS camera takes a snapshot of the sample analyzed for data integrity and archiving. 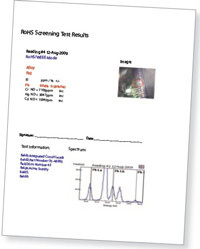 The sample photo is saved to memory with analysis results, and can be included in the data results report. 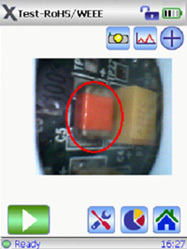 Camera can be operated at quarter or full VGA resolution for optimal clarity, even on low contrast samples. Combining a large area, high performance Silicon Drift Detector (SDD) and a 4W optimized x-ray tube, the DELTA Premium with the tantalum (Ta) or gold (Au) tube configuration is the ideal solution for ultra quick, analytically demanding applications with superior detection limits. The DELTA-50 Premium is a 4W, 50kV x-ray tube (Ta or Au); this configuration offers optimum sensitivity for Cd, Ag, and Sb as well as Ba. The DELTA Premium model for Consumer Products Analysis is referred to as DP6500CP and for ROHS/WEE Analysis is referred to as DP6500RW. The DELTA-50 Premium is referred to as DP6050CP or DP6050RW. Combining a Silicon Drift Detector (SDD) and a 4W optimized Ta or Au X-ray tube provides excellent speed and detection limits. 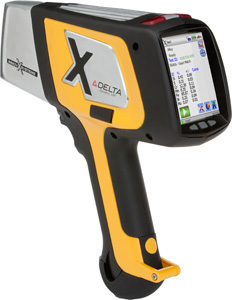 The new standard in handheld XRF, the DELTA Professional model for for Consumer Products Analysis is referred to as DS6500CP and for ROHS/WEE Analysis is referred to as DS6500RW. 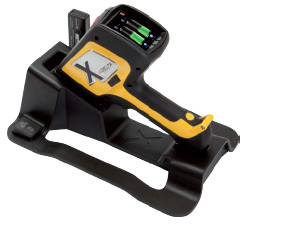 Combining a SiPIN detector with a 4W optimized Ta or Au X-ray tube, our DELTA Classic Plus is a high tech, flexible analyzer for typical XRF analysis. The DELTA Classic Plus model for Consumer Products Analysis is referred to as DC6500CP and for ROHS/WEE Analysis is referred to as DC6500RW.